Organizations produce terabytes of data daily which can be used to leverage and influence strategic decisions, track performance and position the enterprise as a market leader. Apparently the “Gut Feel” have been the default revert for many business leaders/managers when confronted with a business decision. However if an organization seeks to rise above in market leadership and remain competitive, then the data evolution story is a strategic direction any seasonal executive should drive from the boardroom. Data from the diverse enterprise portals, ERP, social media, line of business applications among other sources is an instrumental asset anyone can leverage. Data Phase: At an infant stage, an enterprise will focus mostly on data collection and storage tools. Key business challenge at this phase is usually data correctness and accuracy which is mainly referred to as Data Integrity. Is your organization still struggling with data integrity? Many organizations are still trapped in this phase. Information Phase: Data should provide information that points towards key areas of further investigation through observation, experimental models etc. Adequacy of information is key at this stage. Intelligence Phase: Information synthesis provides intelligence and this has been a key focus by many business analysts as they try to establish cause-effect, factorial relationships, correlations etc through experimentation. Reliability at this phase is critical since an enterprise will base decisions on the intelligence deduced. Insights Phase: Intelligence must be validated through context discussions that are in line with the business. If the Intelligence deduced above do not resonate with the business context, the executives may not then derive meaningful business and market insights to inform strategic decision making. Tell A story: The most exciting phase in data evolution is when one is able to tell a memorable story (Testimony) after implementation of insights which transforms the business. This phase connects back to the Data phase since transformation and impact must have been measured for tracking progress. 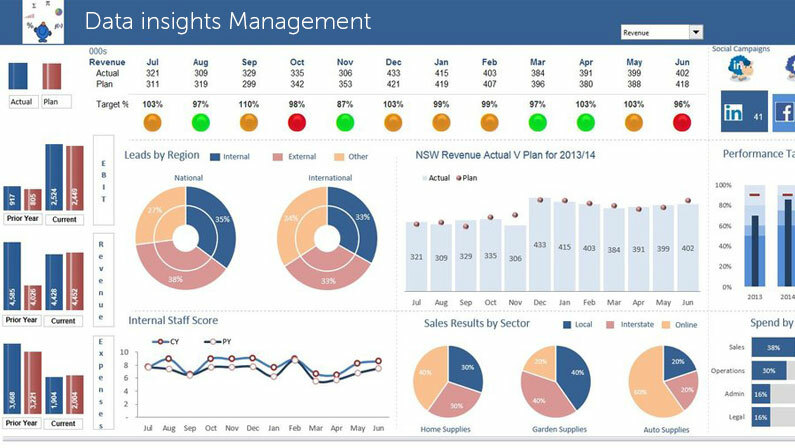 Proactive enterprises have invested heavily in Interactive and highly visualized Reporting Dashboards in order to paint the performance story in a real-time process. I hope you found this piece of knowledge insightful. If you seek to be a business transformational ambassador in your industry, stop the gut feel now. Thank you for reading this article and kindly look forward to my next weekly article.